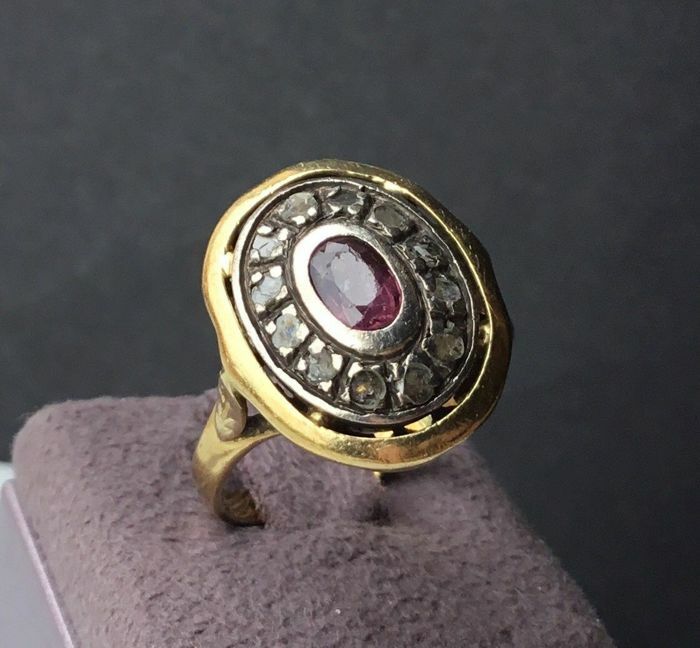 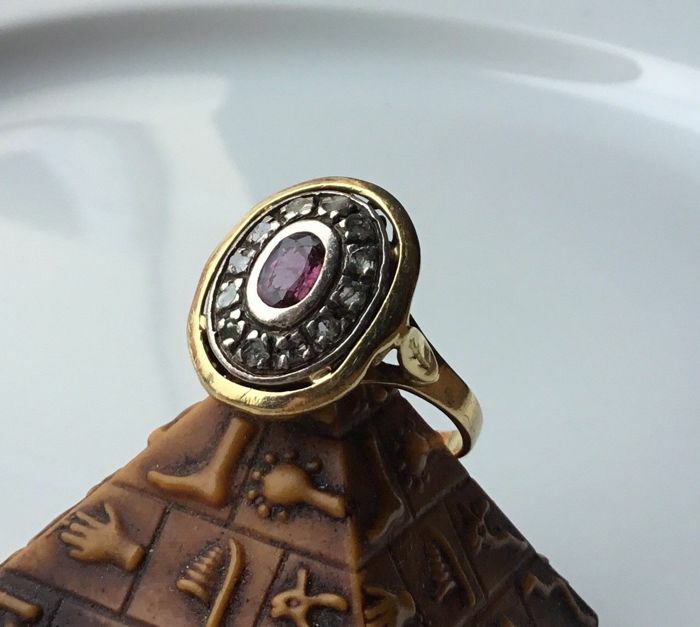 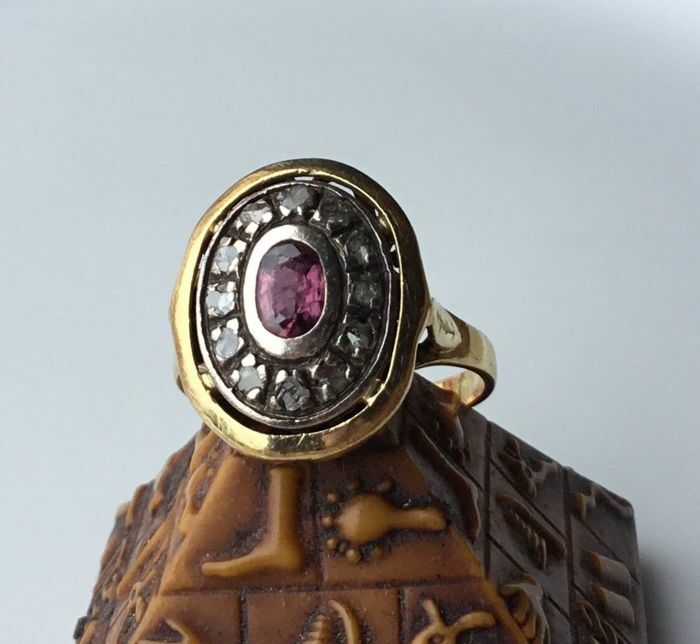 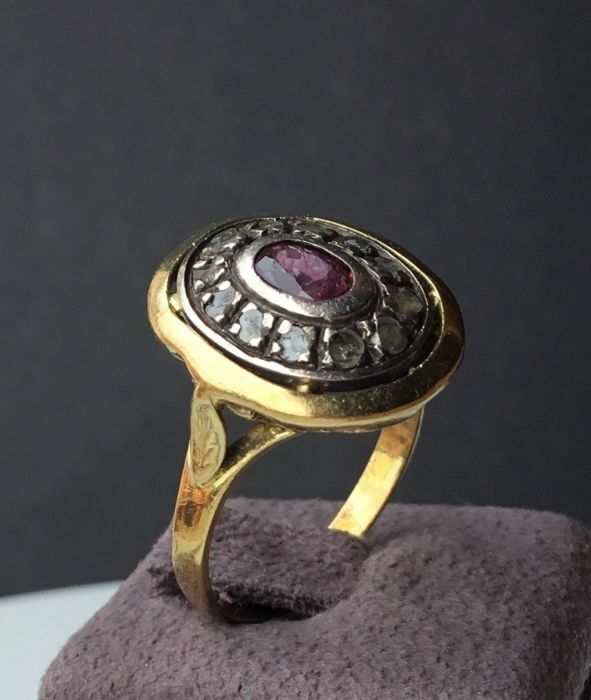 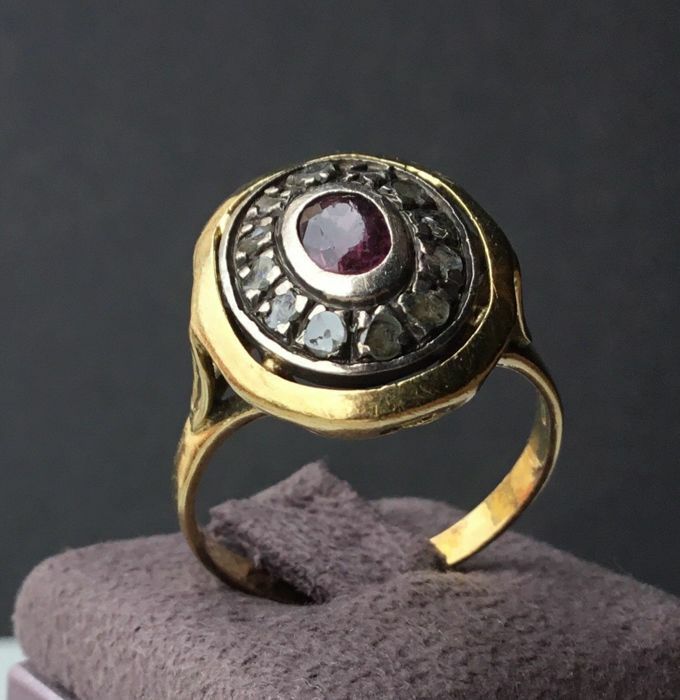 Vintage ring with ruby and authentic rosette diamonds in 750/1000 yellow and white gold, work carried out by an artisan goldsmith. 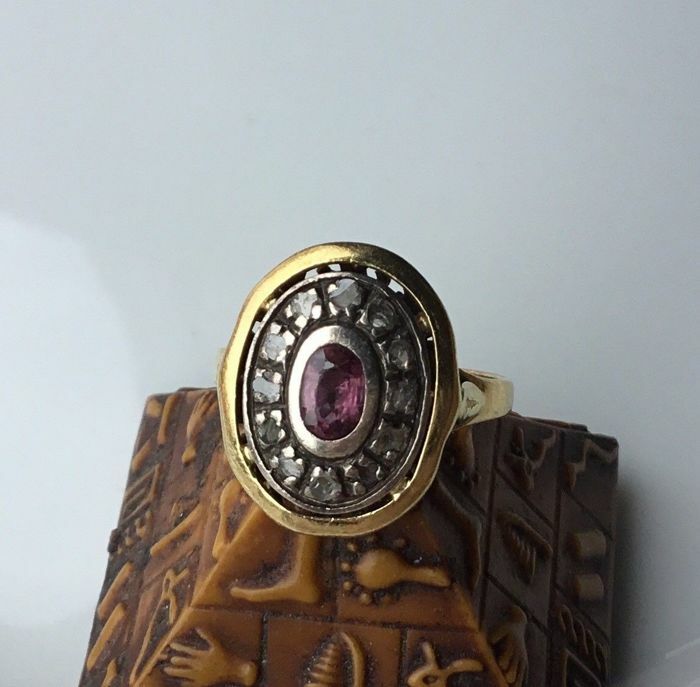 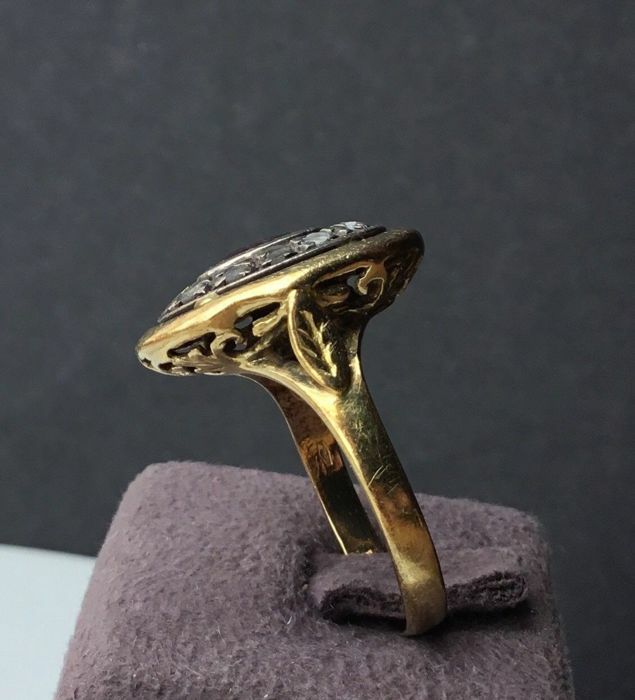 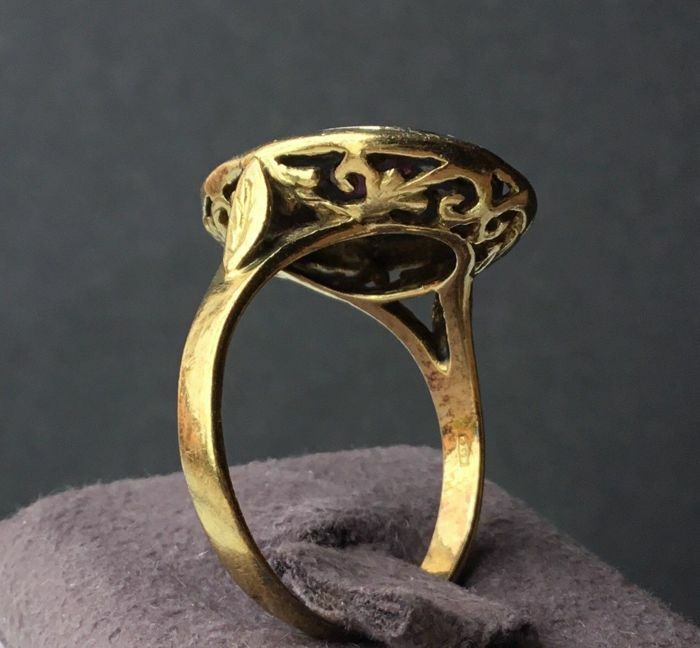 The ring was worn a few times and is in excellent condition, as you can see in the photos. 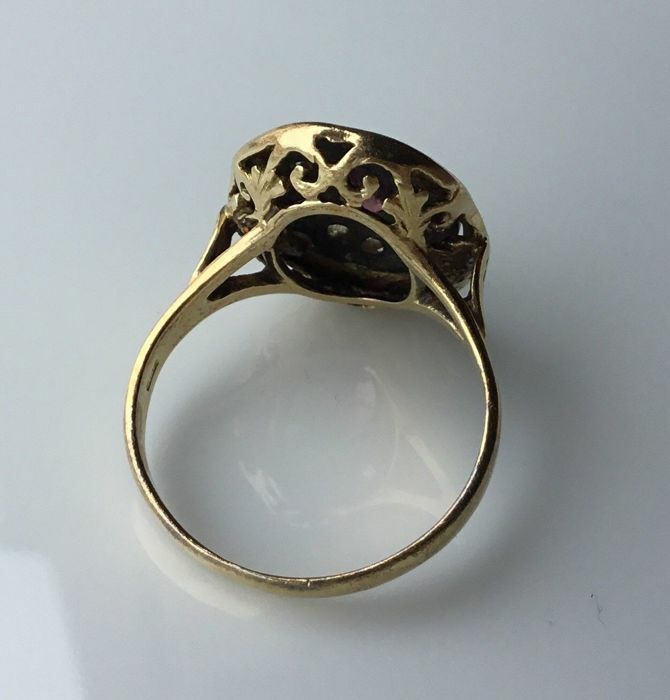 Prior to being put up for auction, the ring was checked, polished and cleaned using ultrasound. 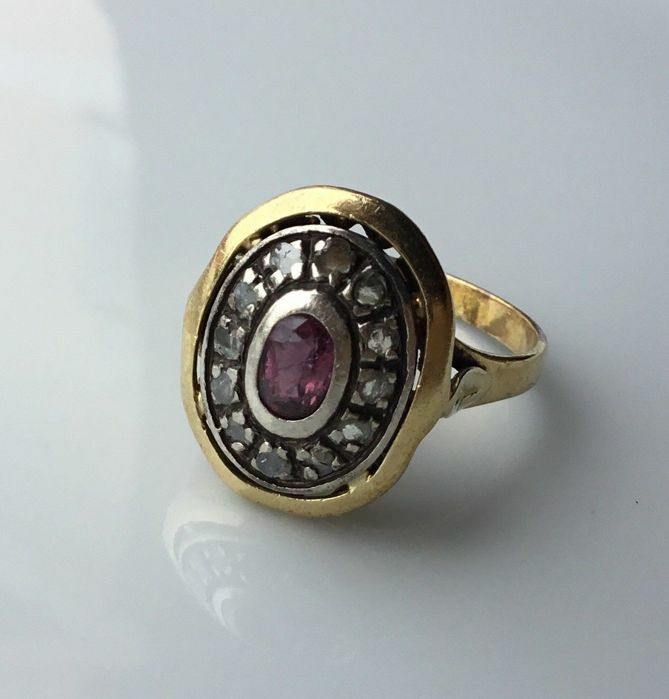 Comes with guarantee of authenticity. 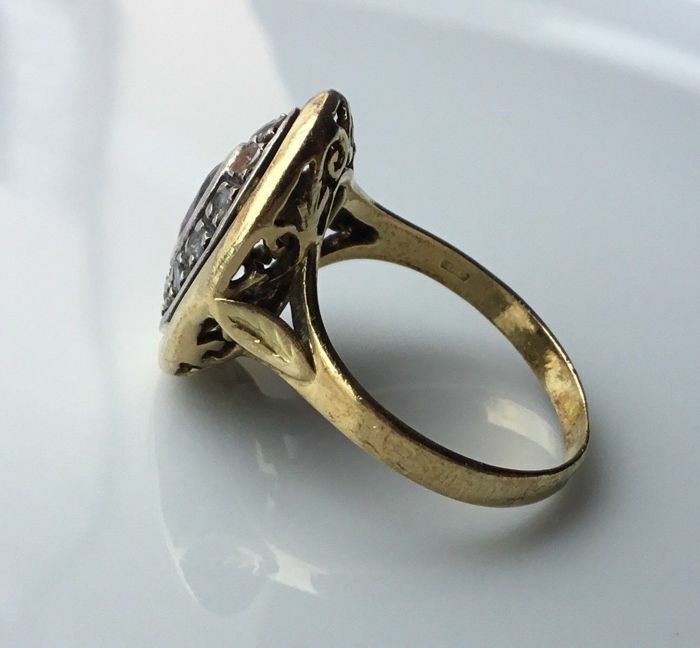 The ring will be packaged with the utmost care and shipped via insured and tracked mail.